Listen. We know you've been playing Pokemon Go. We know you've been trying to scouring your neighborhood trying to catch Pikachu. But we're here to tell you that you've been doing it wrong all this time, and we don't mean not stocking up on portable battery packs for the huge amount of power your smartphone gobbles up. We mean real life Poke Balls. We mean a belt that said Poke Balls can attach to. That's the only true way to be like Ash Ketchum. This Clip n' Carry Poke Ball Belt has arrived! 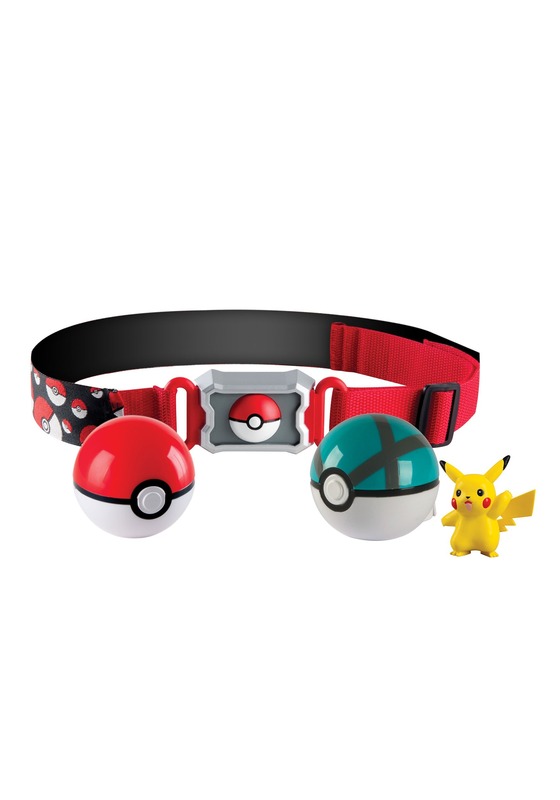 Officially licensed from the Pokemon video game series, this belt comes with multiple balls and Pikachu figures, so you can get on your way to catching Pokemon right away! Of course, we recommend that you wear it while you play Pokemon park to let everyone know that you're going to be the very best, like no one ever was!